If you're an avid Apple TV user, the tech company has some good news for you. 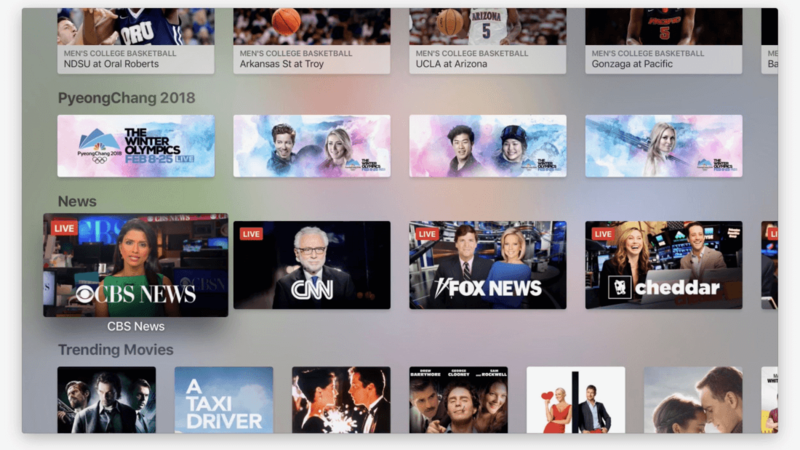 Not long after adding a dedicated sports section to the Apple TV app, the company will now be rolling out a "News" section as well. As reported by 9to5Mac, the new app will allow users to quickly access live news content from a number of different networks - CBS, CNN, Fox, Cheddar, CNBC and Bloomberg, specifically. The News feature currently only includes US-based outlets, though this may change down the line. The catch is that each of these networks will require their own dedicated app to function. When you attempt to view a network, you'll be directed to its dedicated App Store page to download it. Once you've installed the app for each network you're interested in, you'll be able to quickly navigate between them using Siri's voice control functionality. For example, you can say "Play Bloomberg" or "Watch CNN." Though this feature is certainly a nice addition, it's not a completely unexpected one. As we previously reported, Apple unveiled live news functionality alongside their updated 4K, HDR Apple TV box back in September.